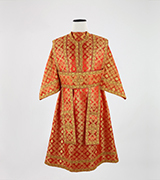 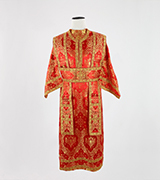 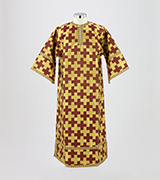 Gold and crimson brocade altar helper robe. 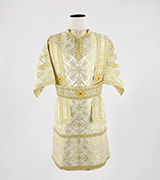 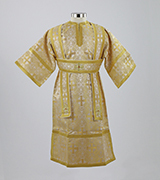 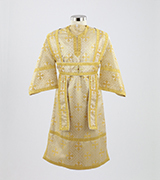 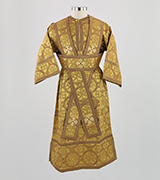 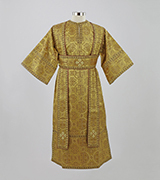 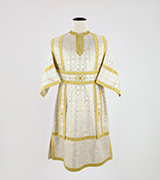 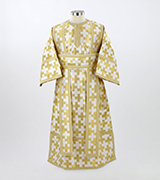 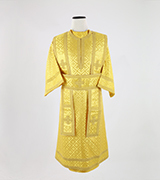 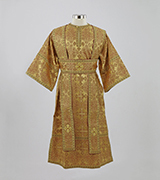 Gold and ivory brocade altar helper robe. 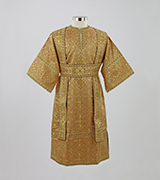 Gold brocade altar helper robe. 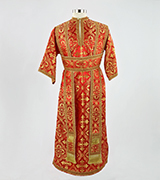 Gold and crimson brocade altar helper with inscriptions. 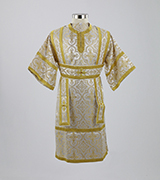 Metallic ivory brocade altar helper robe.